May 6, 2015 – New York, NY – New York City based securities and corporate law firm Sichenzia Ross Friedman Ference LLP announced today that the Firm has represented Ladenburg Thalmann & Co. Inc. as the sole placement agent on a private placement of Dynatronics Corporation (NASDAQ: DYNT) that consisted of 1.6 million shares of Series A 8% Convertible Preferred Stock and warrants to purchase 2.4 million shares for aggregate proceeds of approximately $4,000,000. The warrants have an exercise price of $2.75 and a term of six years. Dynatronics is a leading manufacturer and marketer of rehabilitation and physical therapy products. The financing will provide the Company with additional capital to promote its growth and to help the Company pursue its strategic acquisitions. 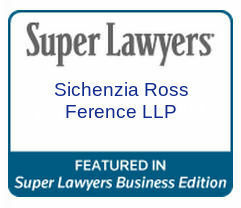 The Sichenzia Ross Friedman Ference LLP team was led by Partner Gregory Sichenzia and Associate Avital Even-Shoshan.